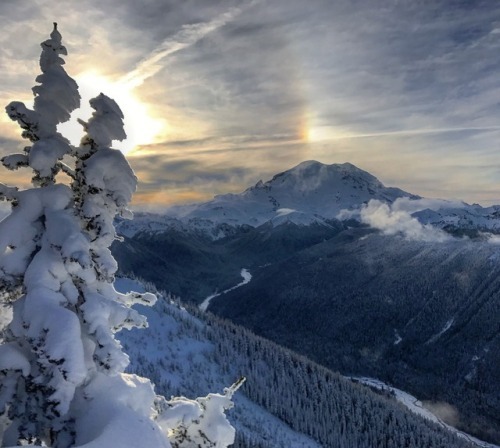 Mount Rainier National Park in Washington offers amazing rewards… – Sig Nordal, Jr.
January 7, 2018 Sig Nordal, Jr.
Mount Rainier National Park in Washington offers amazing rewards for visitors willing to brave the cold. Epic views of mountains and valleys glimmer in snow white and subtle blue combine with the crunch of ice under your boots and the welcome warmth of daylight. The park is open, but vehicle access is limited, so bring your snowshoes and skis. Photo by Jared Pratt (http://ift.tt/18oFfjl).